Welcome to another beauty post from yours truly. 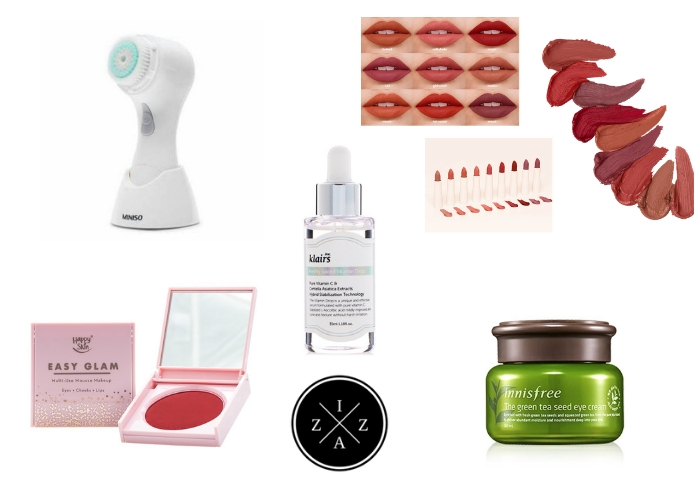 Today we’ll be talking about the five beauty products that changed my life. 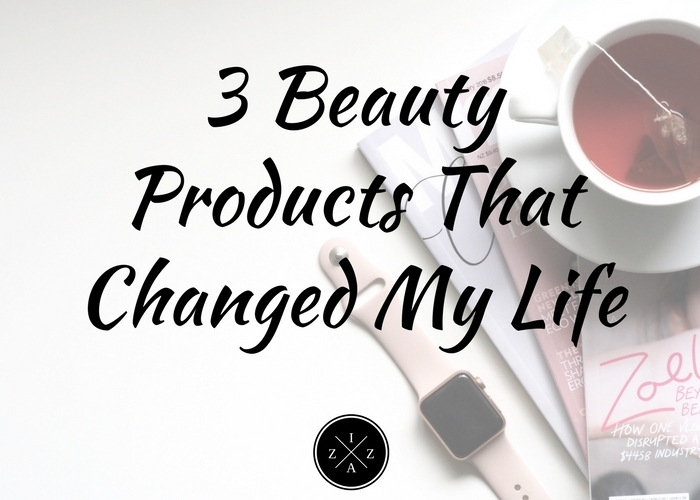 When I think about all the beauty products, specifically skincare that I’ve tried through the years this three stand out the most. These are the very products that dramatically improved the condition of my skin. These are the products I will never be afraid to recommend to others. And yes, these are the products I still enjoy using even today. Human Heart Nature Sunflower Beauty Oil is 100% Natural, Hypoallergenic and seasoned best seller of the brand Human Nature. Its premium formulation is lush with moisturizing and nourishing vitamins A, D and E. It is well-known and well-loved as a top-to-toe beauty solution. Did you know that Sunflower Oil provides not just one but 23 benefits? Personally, I have used the Human Heart Nature Sunflower Oil to lighten my underarms and it works! What I do is at night after my shower I massage my armpit with one pump of this beauty oil for each. I try my best to do it every day but of course there are days I feel lazy doing my night routine and skip. After just two weeks I noticed a significant change in the condition of my underarms. I also use it as a body moisturizer wherein I combine four-six pumps on my Niveacream and apply it like a usual body cream all over my body. I’ll be spending the Holy Week in our province Samar and I know doing this regimen again is helping bring back my skin tone without drying. Aside from the above, I also use the Human Heart Nature Sunflower Oil as hair serum, as treatment to bite marks and itchiness as well as makeup remover. How did this product change my life? I never really believed in the idea of beauty oils but this product made me a believer. A pump goes a long way and super concentrated that you’ll see results in just a couple of weeks. 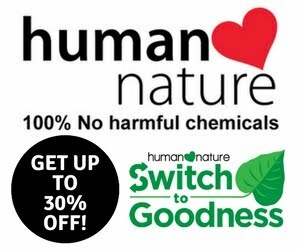 The Human Heart Nature Sunflower Oil retails for Php 174.75 for 50ml bottle, Php 299.75 for 100ml bottle and is available at the Human Heart Nature website, and all Human Heart Nature branches nationwide. DISCLAIMER: There is a post on Facebook that Mumuso is actually a Chinese brand and not a Korean brand. They sell fake products from famous Korean beauty stores like Innisfree, The Face Shop and Nature Republic. Please exercise caution when buying and using Mumuso Aloe Vera Gel. Not because it worked for me does it mean it'll work for you. Also, if you are really into Aloe Vera Gel it may be best to try the Nature Republic one instead, which I've tried too and work well. The Mumuso 92% Aloe Vera Gel contains 92% Aloe Vera, Hyaluronic Acid, Pro Vitamin B5 and Vitamin E.It is a mild and soothing gel you can use on the face and body for a number of ways. I suffered from terrible break out and small bumps on my forehead and chin area last November and started using the Mumuso 92% Aloe Vera Gel. After cleansing and toning my face, I will put a good amount of aloe vera gel all over my face. The following day my face looks bright, smooth and supple. The small bumps were gone within a week and texture of my skin really improved. Last February2017 I skipped using this at night because I testing the Avon Anew 360 Illuminating Set and it includes a night cream already. I tried using it before the day cream and it worked. I was surprised that the aloe vera gel dries fast and is easily absorbed by my skin even in day time. It works as a natural moisturizer and doesn’t feel any sticky at all. My overall experience in using Mumuso Aloe Vera Gel is exemplary. I experienced no problem in the months that I’ve used the Mumuso 92% Aloe Vera Gel. I don’t think that it is fake although it is super cheap. The product is in clear thick gel that melts like water upon application. It smells like real aloe and gives a fresh and cooling effect when applied. The fact that this product made the bumps in my forehead go away is just A-MAZ-ING! I can’t even begin how to express my gratitude that I found out about aloe vera gel through this. The Mumuso Aloe Vera Gel retails for Php 99.00 for 300g tub and is available at all Mumuso branches nationwide. The Avon Anew 360° Illuminating Set is composed of a Cleanser, Toner, Day Cream and Night Cream. I saw in another blog that a Serum/Essence is also available but I haven't bought it. It was my supervisor from my previous work that introduced me to the Avon Anew 360° Illuminating Set. We were talking about skincare routine one afternoon and this supervisor of mine boast about how the Avon Anew 360° Illuminating set changed her skin. She even showed pictures of her skin before proof. I got intrigued and decided to order. She even gave me discount since I ordered the complete set with Avon Anew 360° Illuminating Cleanser, Avon Anew 360° Illuminating Toner, Avon Anew 360° Illuminating Day Cream and Avon Anew 360° Illuminating Night Cream. The whole set promises to give fairer and whiter skin in just 3 days. Avon Anew 360° Illuminating set also has invisible melanin shield technology that whitens skin and evens your complexion without stripping your skin of its natural UV protection. So far out every skincare set I used the Avon Anew 360° Illuminating Set sets the bar high. I became obsessed in looking at my face in the mirror. HAHA. This proves how much of a change the whole set is doing. I love how the cleanser and toner works together. I admire using both day and night. The day cream and night cream works well but can be omitted for a better or newer product next time. I saw a blog about an Avon Anew 360° Serum and I might buy that next just to really complete the set. Using sets help me a lot to maintain a good skincare routine. My skin loves to use a complete skincare line just like the Himalaya Herbals Clear Complexion Whitening Set. Definitely a still for the price range since the packaging and sizes of each product looks like high-end. The Avon Anew 360° Illuminating Cleanser and Avon Anew 360° Illuminating Toner retails for Php 299.00 each full-size. The Avon Anew 360° Illuminating Day Cream and Avon Anew 360° Illuminating Night Cream retails for Php 499.00 each full-size.